" Paul has been helpful, efficient and extremely professional throughout all stages of the selling process and this is also true for the rest of the team at the Ware Branch. We have been kept informed of events and have received sound advice from Paul every step of the way which has made this experience easy and stress free. We would have no hesitation recommending Ensum Brown. " " Ensum Brown were very professional, kept us up to date with progress and managed the whole sale well. We were fortunate to have a number of offers and Paul was sensible in assessing the quality of each and we concurred on the best purchasers. They were accurate with their estimates. " " I had a very good experience with Ensum and brown Estate agents. Each and every person was very helpful, and couldn't do enough for me. If i was unable to speak to Paul, some else always helped me. Paul couldn't do enough to help the completion, an was always positive through out the whole experience. " " We would thoroughly recommend Ensum Brown having been both purchasers and vendors with them in the past six years. During what can be a very stressful process Mark's professionalism, optimism and good humour ensured a smooth process which alleviated the pressure. We had a high number of viewings and had completed within 3 months of putting the house on the market. " " Very professional service which resulted in a speedy sale at a competitive fee. WOULD RECCOMEND to other prospective customers for certain . " " I recently sold my property with Ensum Brown, who I have to say were exemplary from start-to-finish. Mark gave me regular updates along the way and nothing was ever too much to ask. They sourced a buyer within a fortnight for my house, and incidentally introduced me to my next home too. Their understanding of the local market is second-to-none and their proactive approach is refreshing. If you're considering moving house, look no further than the team at Ensum Brown." " Bought through Ensum Brown. Enjoyed very much dealing with Paul. Great level of communication, basically kept a whole complicated chain moving, liked his manner/ caring, sensitive approach and very grateful for his hard work. Would Highly recommend these agents. " " Absolutely brilliant service from Paul cannot praise him and the team enough. Great communication throughout the whole process will be using them again if required to. " " A very professional & friendly service. Mark really pulled out all the stops & got our sale through, giving us updates & following up any queries asap. Mark always returned our calls & was happy to answer any questions. I would thoroughly recommend Ensum brown & would like to thank mark for his dedicated work, he really made our journey as pleasant as possible & gave us confidence that we would get this sale & we absolutely love our lovely new home. " Ensum Brown have been marketing and selling properties in Ware and Hertford for over 30 years. Our company has been built on exemplary customer service, something that has been most recently recognised by review site AllAgents.co.uk, who in October 2017 awarded us ‘Best Estate Agent in Ware 2017’ for customer service. We’ve very proud to say that the majority of our business comes from recommendations and past clients, returning to us for our award winning service. 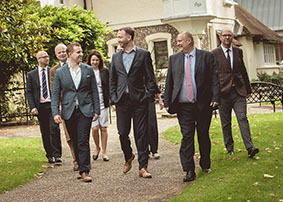 In 2017 Ensum Brown joined the WellingtonWise Group, a network of offices across Hertfordshire and Cambridgeshire who are renowned for their effective and innovative marketing approach. Ensum Brown now offers free professional photography as standard on all properties, employing our own photographer to ensure the highest quality at every home. 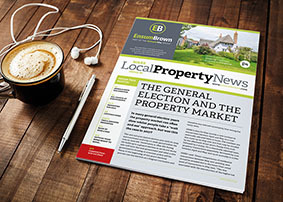 Our ‘Local Property News’ newsletter, containing updates on local and national house price trends, local news, properties for sale and so much more, is distributed to 18,000 homes in and around Ware. If you’re looking for an agent with customer service at its heart, experience that is earnt over three decades and a marketing flare like no other agent, give Ensum Brown a call on 01920 412 200. Interested in what our clients say? 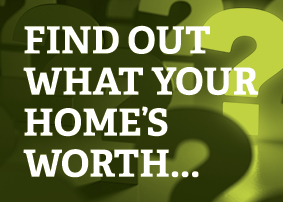 Our very specialist regional knowledge of this specific market ensures that you receive the very best service, whether you are buying or selling a property in Ware or surrounding regions.